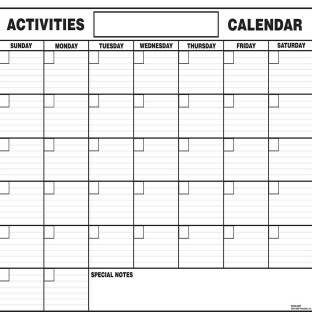 These jumbo 37" x 49" paper calendars are perfect if you prefer paper, or to use if you need an extra posting for your activities. Pack of 12. I buy two packs every year! great product. Works great in my Assisted Living facility. Large enough for all the residents to read. 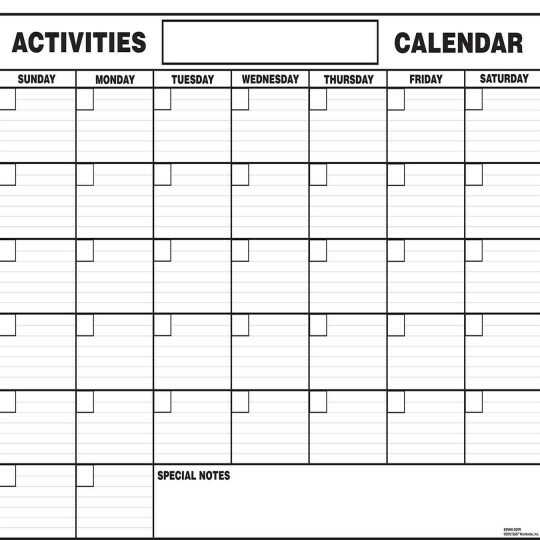 These work great for our monthly activity calendar and are the right size. We like to start fresh each month so they are perfect. Our PreSchool can't do without these! The lines in the calender dates really helps in writing. We found this calendar many many years ago in a nursing home and realized how much it could help in our curriculum program. We got the number off the calender and have been using them ever since. My concern is one day they will stop being produced. I hope they are a popular item so that will never happen. If I have to order two or three years worth then that's what I will do! no trying to clean it. when the month is done just throw it away.